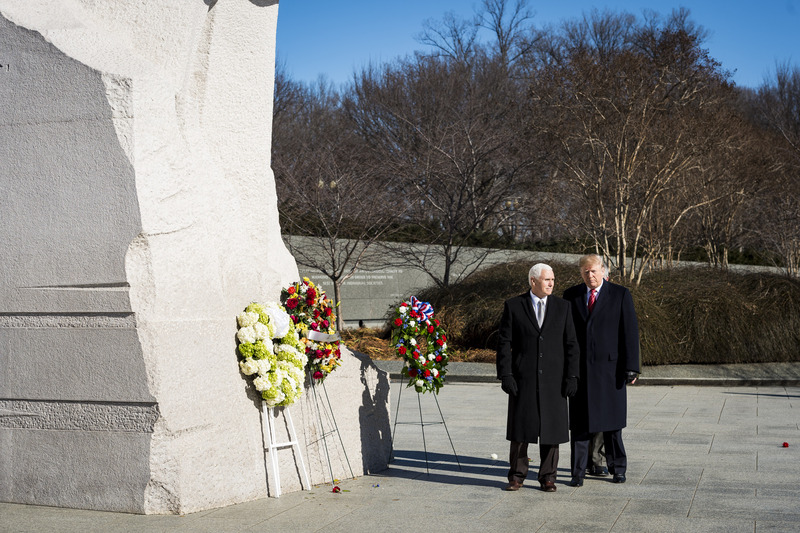 Media outlets and left-wing commentators slammed President Donald Trump for not celebrating Martin Luther King Day just hours before the president made a surprise visit to the MLK Memorial in Washington, D.C.
Much of the criticism centered on the fact that the president had no public events scheduled for the holiday on Monday, despite the fact that the White House will often keep events off of the schedule for security reasons or just to make them a surprise. Splinter News was similarly not surprised that the president had no public events planned, and assumed that he would use the government shutdown to justify such a move. Rev. Al Sharpton called the lack of public events an “insult” to the American people. Trump celebrating MLK Jr Day by doing nothing. 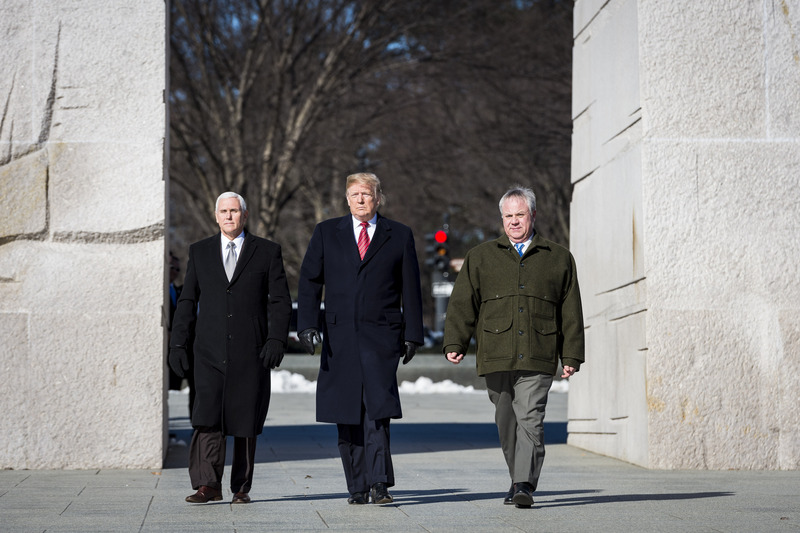 The president made a surprise visit to the MLK Memorial on Monday morning and observed a moment of silence during a wreath laying. “Good morning, everybody. Great day. Beautiful day. Thank you for being here. Appreciate it,” the president said before returning to his motorcade. The visit, albeit brief and lacking any substantial speech about MLK’s legacy, debunked the narrative that the president wasn’t doing anything for the holiday.